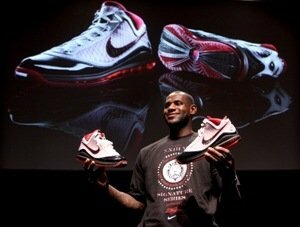 NIKE, Inc. today introduced the Nike Air Max LeBron VII, the latest and most innovative shoe in LeBron James’ signature line, at a global media summit in Akron, Ohio featuring James and performance footwear designer Jason Petrie. The Nike Air Max LeBron VII is designed to deliver maximum comfort and stability. It features an innovative, basketball-specific Max Air airbag unit, a cushioning first for the company, and a Flywire engineered upper using higher tensile-strength cable than in previous performance basketball shoes. suggested retail price of $160 USD. Nike’s first basketball-specific Nike Max 360 air sole is designed and engineered for the multi-directional movements of the modern basketball player. This basketball-specific air sole contains 80 percent more air than the previous full-length unit for ultimate comfort. The air sole is strategically contoured with a thinner forefoot and deeper heel placing cushioning where it is needed most. Moving upward from the court floor, the insole and upper of the shoe match the mid-sole’s innovation. The seamless integrated bootie not only makes for a comfortable ride with no irritation, but also provides the lockdown support basketball players covet. Nike Flywire technology, first introduced in the highly successful Nike Hyperdunk, provides support without adding unnecessary weight by integrating tensile fibers with a minimal use of materials. Its crisscross lineage not only provides basketball specific stability, but also creates a diamond pattern that LeBron has asked be integrated into his signature footwear and apparel lines each year. The Nike Air Max LeBron VII pays homage to the sport of basketball and reflects the personality of LeBron. On the outsole, five flex grooves represent the five players on the court while 23 stripes in the midsection represent LeBron’s number. The outsole also features a 3D decoder key which, when the shoe is rotated, displays LeBron’s credos – Passion, Fearless, Tradition, Community, Family, Loyalty – and other call-outs from his life. 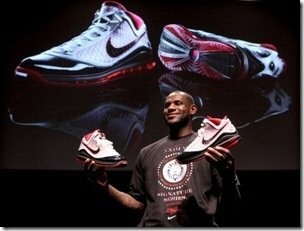 Additionally, the seven Nike Flywire strands on the tongue of the shoe represents the Nike Air Max LeBron VII as the seventh shoe in the signature series. This same call-out is repeated with the V-shaped metal eyelets on the top of the shoe and Roman numeral II embossed directly underneath it. The Nike Air Max LeBron VII is constructed with a full-grain leather upper and patent leather throughout, giving it a plush feel and luxurious aesthetic. The goal was to bring the highest quality detailing to LeBron’s latest shoe, and this is evident throughout due to its superior design. The Nike Air Max LeBron VII was made for the basketball player who is looking for cushioning and strength with a sense of style. 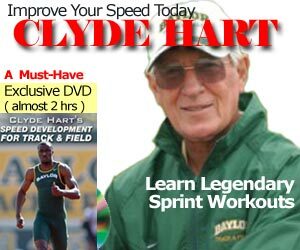 For additional information please visit www.nikebasketball.com.